Snack containers require barrier to preserve their product. Traditionally this could only be found from injection molded or thermoformed containers. 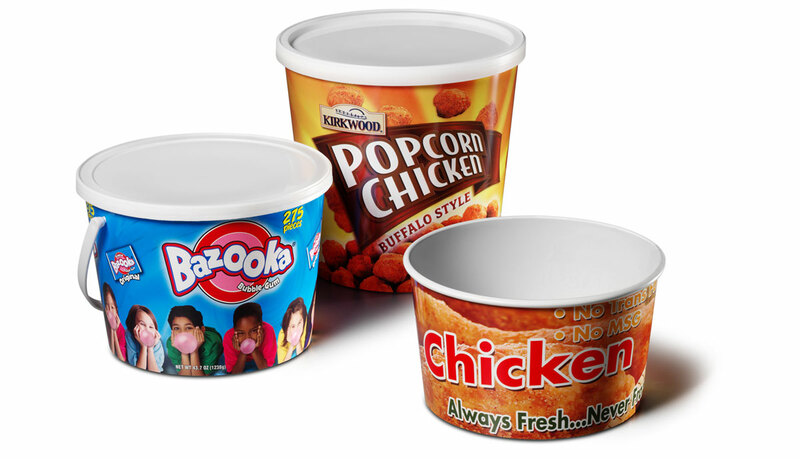 Barrier Plus containers are formed from pre-printed plastic blanks allowing for exceptional graphics and the barrier required in the snack food sector. Containers can be formed as small as 3-ounces up to 1-gallon on PMC 2500SP, PMC 1003P or PMC 1300P machinery.